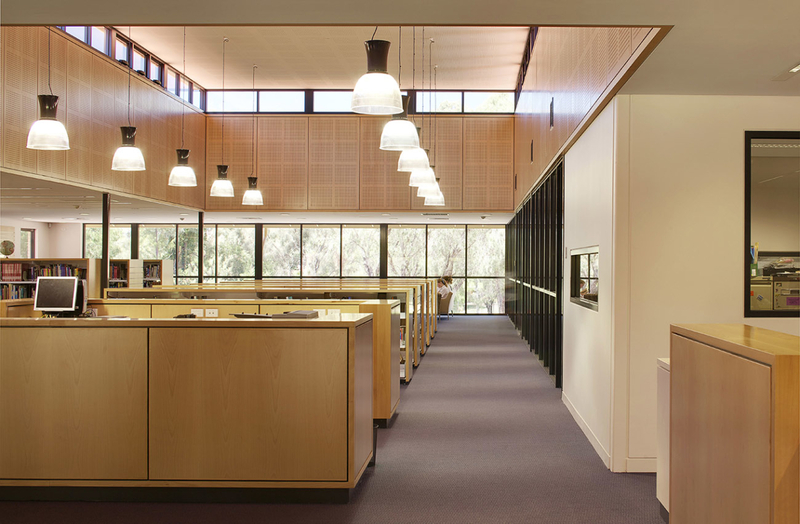 Parry and Rosenthal Architects worked closely with All Saints’ College in Bull Creek, Western Australia, to fully upgrade and refurbish the existing dated school library, to form a new Senior School Resource Centre at the heart of the campus. 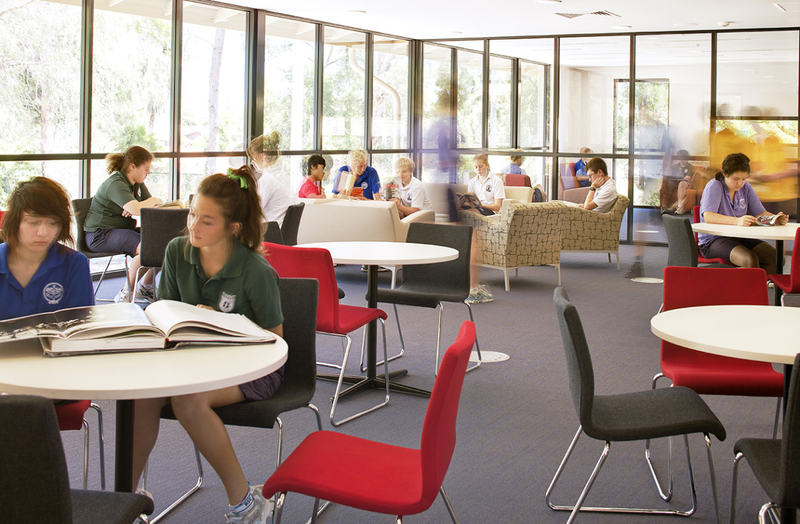 The newly refurbished facility achieves the educational outcomes set by the College and provides a familiar home base to students before, during, between and after classes. The provision of high level and internal full height glazing maximises natural light and encourages learning and study. The facility is welcoming and warm with a range of different types of spaces that facilitate different types of learning and individual, peer and group activities. 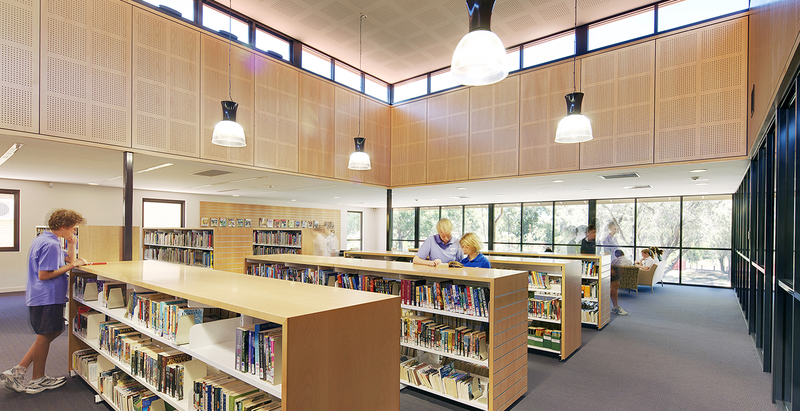 Low height timber shelving replaced the traditional tall metal library shelves, creating an open and safe learning environment. Views are maintained to the external spaces and provide critical visual links to the rest of the campus.